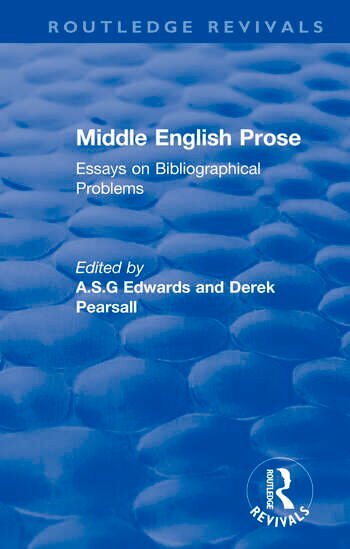 Originally published in 1981, Middle English Prose is an edited collection providing an index of research and scholarship on Middle English prose. The book is split into specific thematic areas of scholarship covering such areas as editorial technique and middle English mystical prose, as well as focusing more in detail on specific prose such as Nicholas Love’s Myrrour of the Blessed Lyf of Jesu Christ. Each chapter contains a collection of useful sources and an editorial analysis and description on each source. Even today, this will provide a useful and valuable resource for researchers of the medieval period.